It's "Cats In Space" Week! 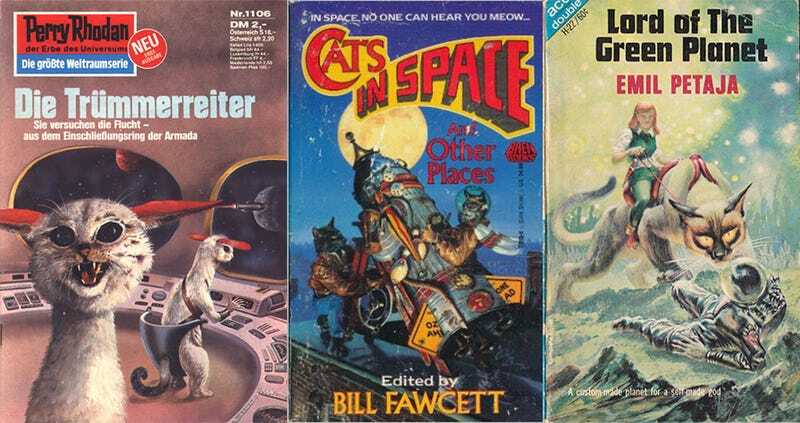 The blog WTF Bad Science Fiction Covers has declared Cats in Space Week, and these are just a few examples of the riches awaiting you over there. Although nothing can be better than the cat sitting in a space command chair that has a hole for its tail. Awww.